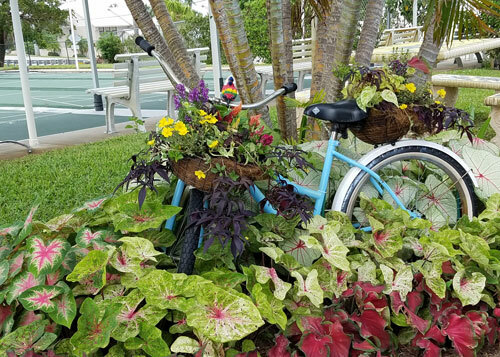 Located on the beautiful Manatee Pocket only minutes from the Atlantic Ocean, Hidden Harbour Estates is a unique 55+ condominium community. Boating and beaches are plentiful with the Indian River and the Intercoastal Waterway at our doorstep. 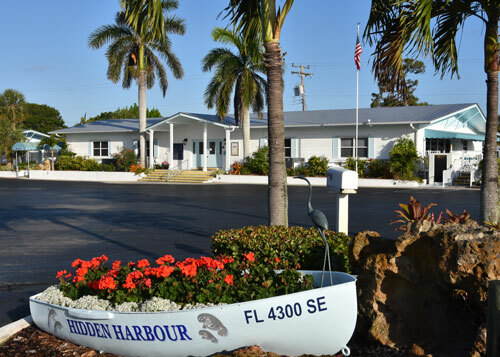 Hidden Harbour boasts a 72 slip marina, clubhouse, pool and shuffleboard courts. Each of the 202 units are individually owned properties governed by a resident Board of Directors. Originally incorporated as a mobile home community, site built and modular homes are now allowed. This very active community hosts a variety of activities under the leadership of the Social Advisory Committee. Monthly parties, weekly card/domino games, yoga and competitive, as well as social, shuffleboard are on the agenda. The Hidden Harbour Boat Club meets monthly during the season with programs of interest to members. The Boat Club calendar includes monthly Saturday morning breakfasts and a monthly social night with a light supper. It also sponsors a dock party in the spring, a pig roast in the fall and the annual Commodore’s Ball in March. During the season there are various other activities such as boat-a-cades and raft-ups. We are within walking distance of many excellent restaurants and cafes. Sandsprit Park is often the destination of walkers and bikers and offers picnic areas, boat launching and exercising stations. Downtown Stuart is right on the water and accessible by boat. There is shopping, dining and entertainment to meet everyone’s taste. A variety of festivals and art shows are scheduled year round. Come meet us! You’ll surely want to stay!